Atticus, LLC is celebrating an exciting milestone. 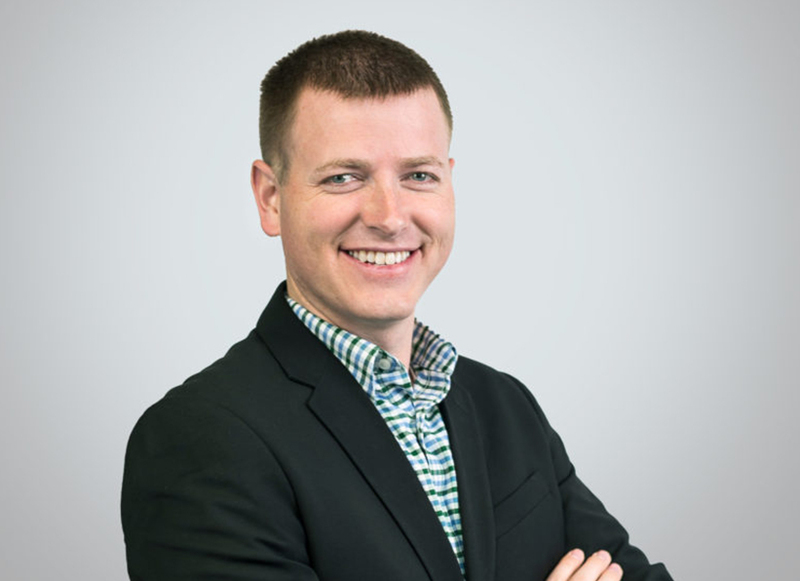 The company, which manufactures and markets branded and proprietary post-patent pesticide technologies, recently moved its corporate headquarters to Centre View Park at 5000 CentreGreen Way in Cary, NC. 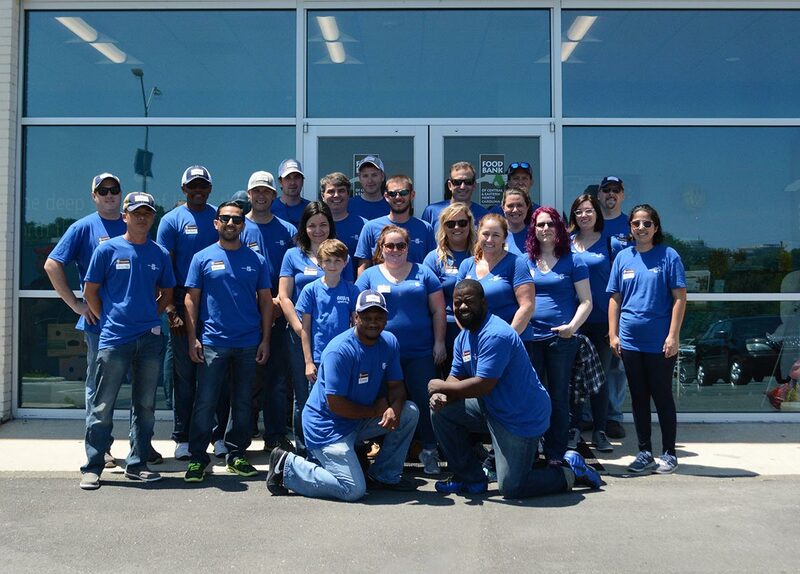 With modern amenities and generous work space, the location is ideal for the growing company. 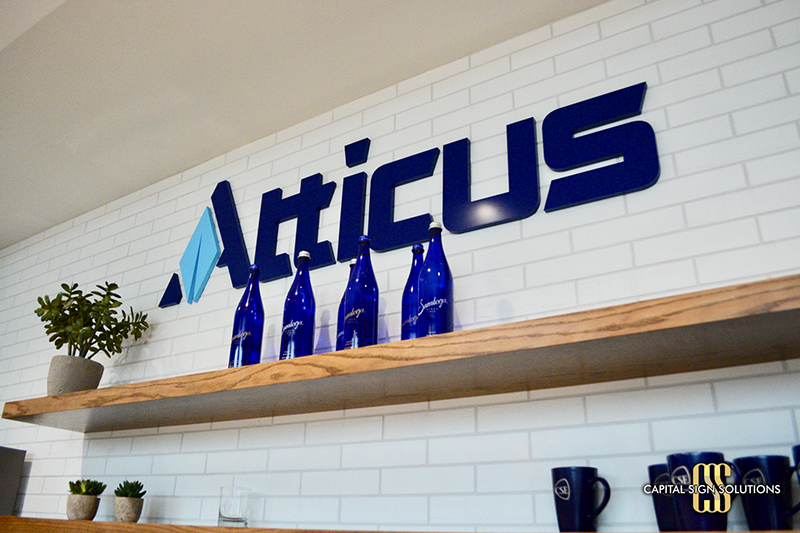 We especially love the new office’s “modern meets rustic” design reflecting the agriculture and professional markets Atticus serves. 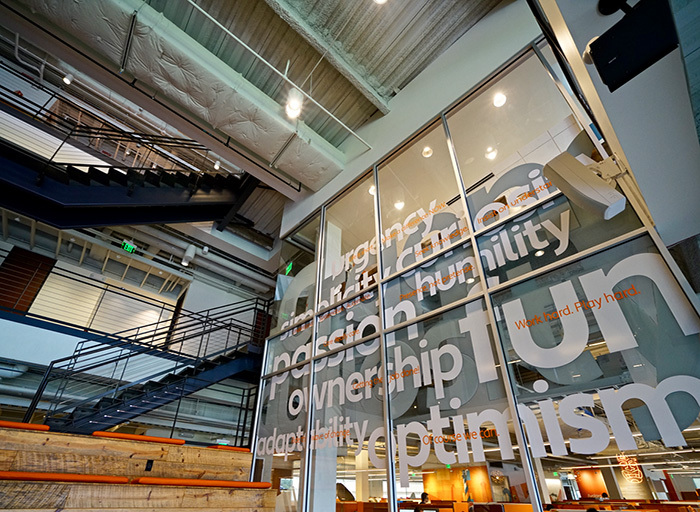 We knew our “New Office Sign Package” had to be the perfect complement to this beautiful space. Our package for Atticus would not be complete without a real show-stopping sign. 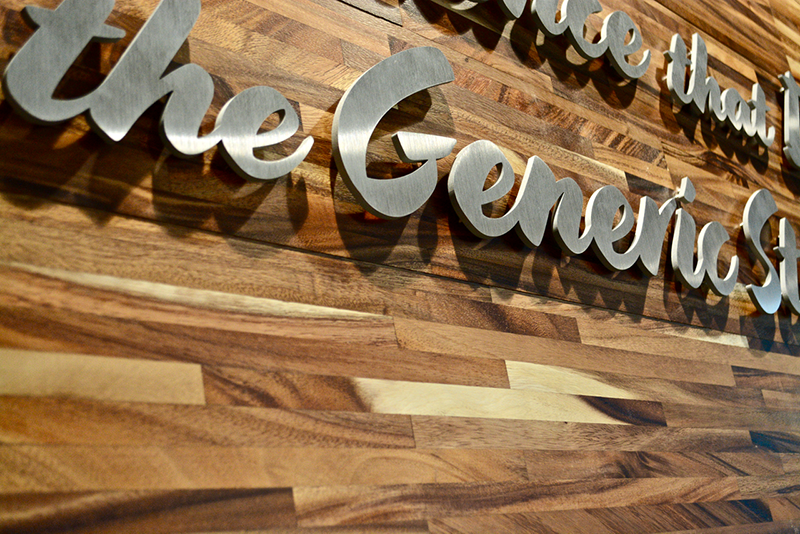 The company logo sign was designed to be a statement piece that will catch everyone’s eye as they walk through the front door. 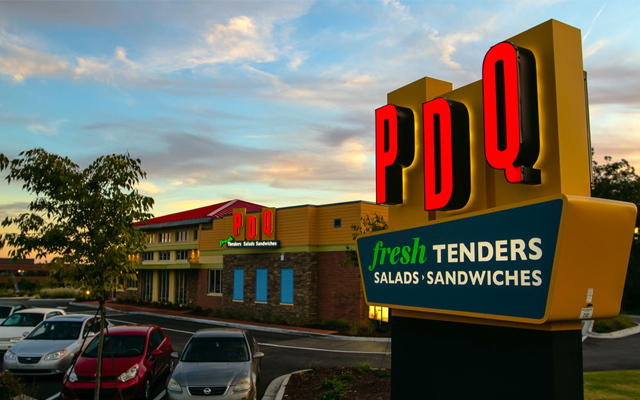 We created the sign using direct routed graphics on brushed plate aluminum, backed with wide diffusion LED’s to give it that true “wow” factor. 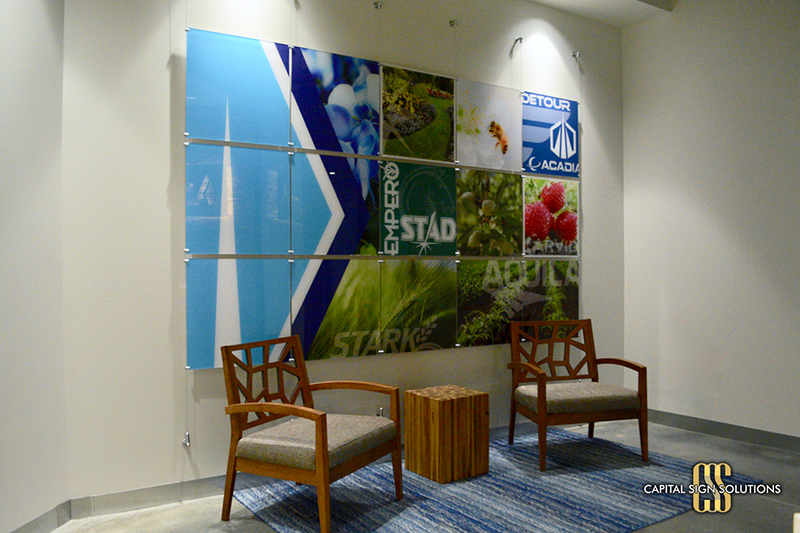 In the reception area, we installed a custom cable picture system with direct graphics applied to acrylic. 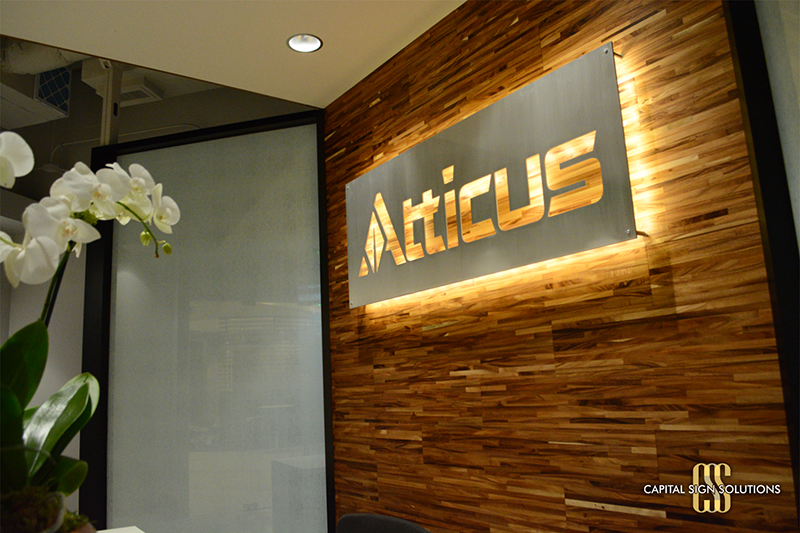 As you move into the main office area, you’ll find the Atticus mission statement in brushed plate aluminum letters. The aluminum provides a stunning contrast against the wood paneling. 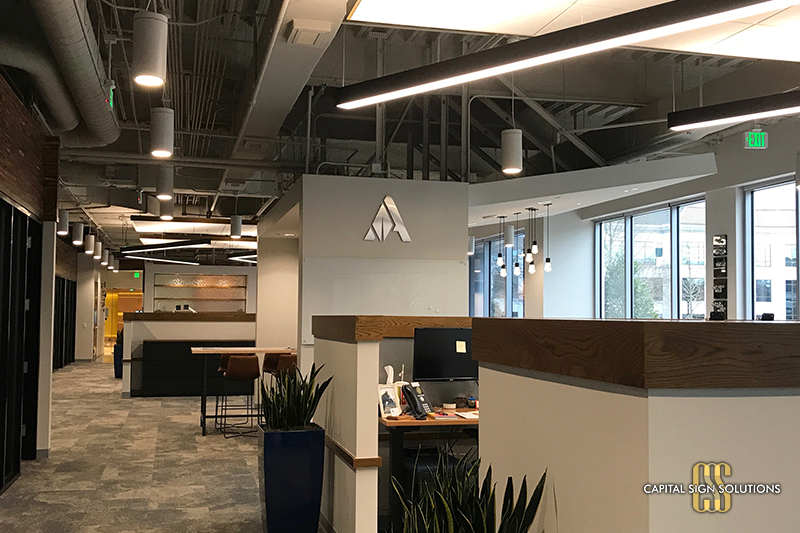 Rounding out this package are the acrylic logo sign, displayed in the staff break area, and two aluminum plate ‘A’ letters in the main interior. 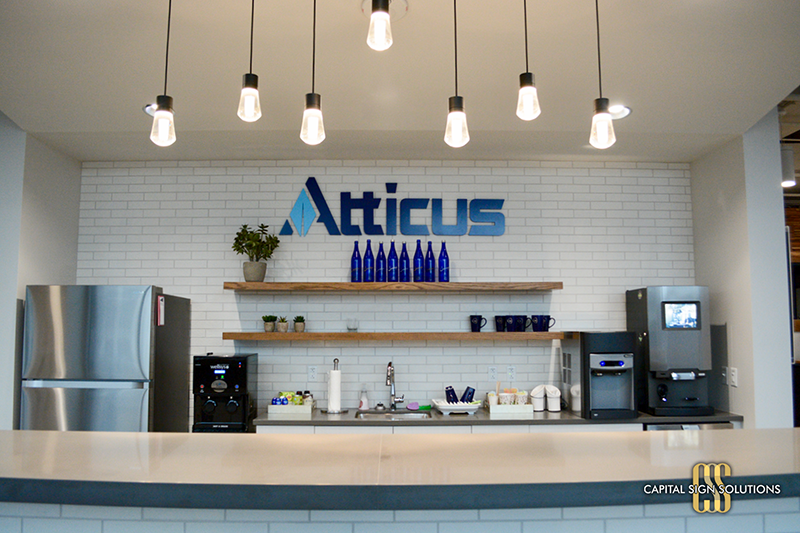 We hope the signs are helping the Atticus team feel right at home in their new location! 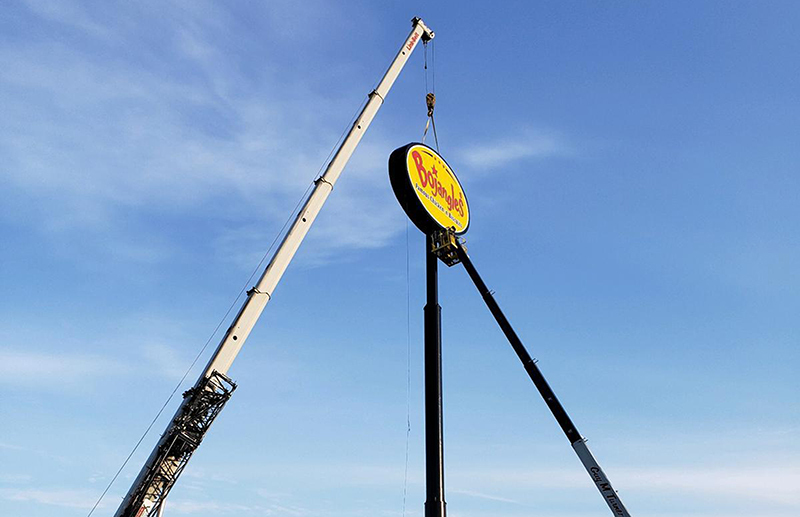 Whether you’re expanding or simply changing your surroundings, a new location is significant for you and your business. 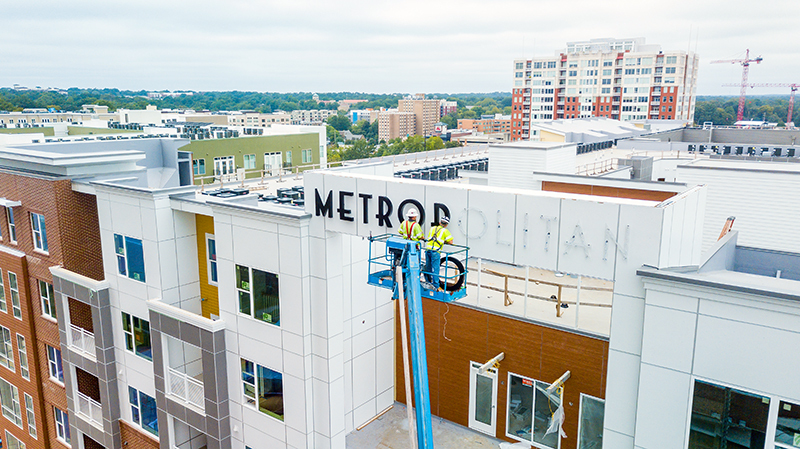 Your new home is not complete without signage – contact us and learn how we can help. Need some inspiration? 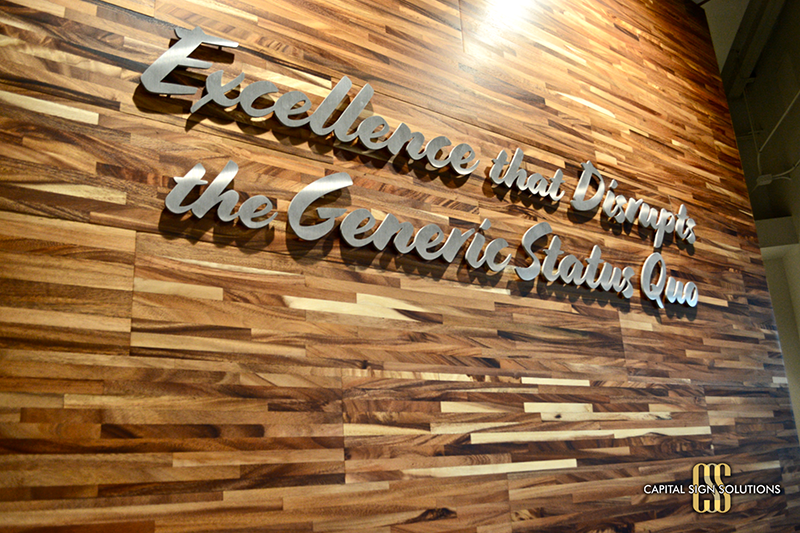 Check out our project gallery for corporate signage.